TREAD carefully when you head to the beach this spring and spare a thought for the endangered Pied Oystercatcher. These endangered birds call the Coffs Coast home and they need your help - tread carefully over spring, as the endangered beach-nesting birds' eggs and chicks are camouflaged in the sand. Pied Oystercatchers are easily identifiable. They are black and white like a magpie, but larger, with long pale pink legs and have a distinctive bright orange beak that is long and pointed, used for pecking open shellfish. They spend their whole life on the beach. 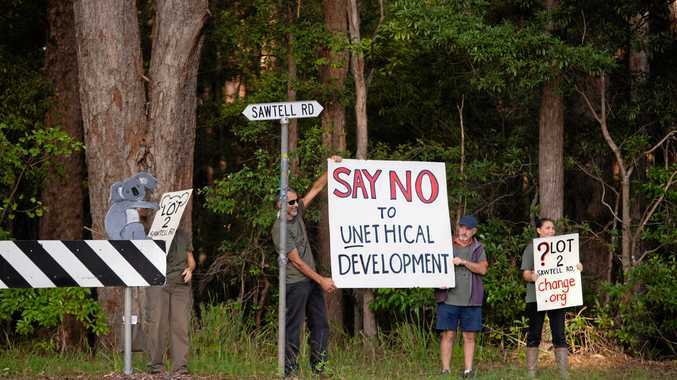 "One of the reasons these distinctive birds are endangered is because of low breeding success," National Parks and Wildlife Service (NPWS) Ranger Martin Smith said. "Their eggs are easy pickings for predators as they are simply laid on open sand. The chicks and eggs are also at risk of being accidentally crushed by people and beach vehicles, and eaten by dogs," he said. Coping with introduced threats like feral cats, foxes, wild dogs and four-wheel drives, these birds have a hard time trying to survive on our busy beaches. 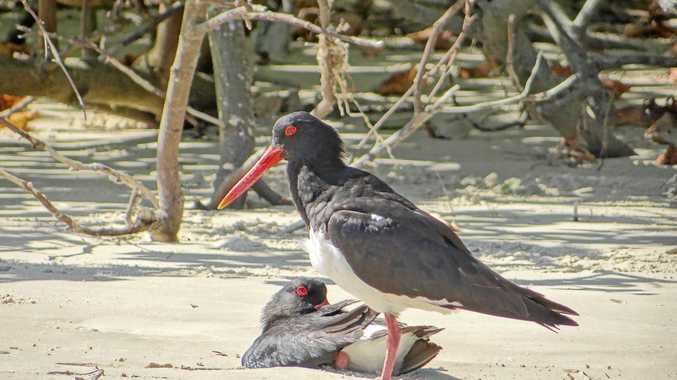 Late winter and early spring is nesting time for the Pied Oystercatcher, and beaches of the Coffs Coast provide some of the most productive breeding sites in NSW. The Bongil Spit in Bongil Bongil National Park is a key habitat area for the Pied Oystercatcher which over the last few years has produced over a dozen fledglings. The NPWS protects nesting sites from disturbance by setting up signs and barrier fences to help people avoid the nest sites. "Baiting work to control foxes and wild dogs is also a very effective way to raise breeding success within declared conservation reserves. But when the birds nest on busier beaches where baiting is not an option, they need all the help they can get," Ranger Smith said. If you identify a nesting pair of Pied Oystercatchers over coming months, please register your sighting with the NPWS by calling 6652 0900.